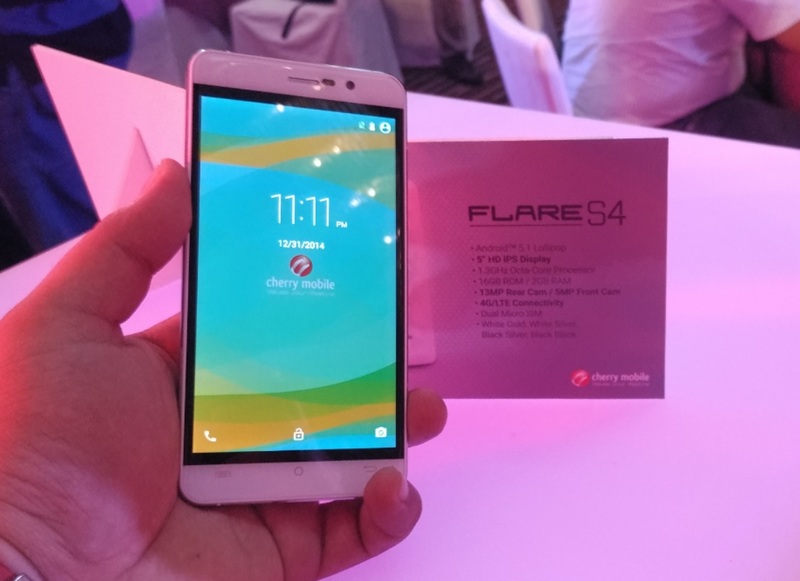 Along with the Flare 4 and the front-runner Flare S4 Plus, Cherry Mobile also officially unveiled one more member of the Flare series, the Cherry Mobile Flare S4. The Cherry Mobile Flare S4 is basically a twin brother of the Flare 4, they got the same 5-inch HD display with IPS technology and Dragontrail glass protection, have the same 64-bit octa core MediaTek MT6735M processor clocked at 1.3GHz each as well as the same amount of RAM and ROM, which are 2GB and 16GB respectively. The resolution of the main and secondary cameras are identical to that of the Flare 4, having 13MP at the back and 5MP in the front. Connectivity sets and other features are practically the same too, such as Android Lollipop OS, dual SIM capability with LTE, WiFi, Bluetooth and GPS to name a few. Their difference lies in the body and battery capacity, the back cover of the Flare S4 has tons of overlapping diamond-like pattern, which reminds us of the recently unveiled ASUS ZenFone 2 Deluxe, that being said, we wonder why Cherry Mobile did not choose to name it Flare 4 Deluxe. Anyway, the Flare S4 has slightly bigger battery than the Flare 4, that is 2200mAh over the 2100mAh. It is now available nationwide on all Cherry Mobile stores, kiosks and authorized dealers for Php4,999.